Wherever you are on The Hounslow Loop, this is an opportunity to find out and share more thoughts about our local train stations and services available from there. Whether it’s the number of departures per hour, length of trains, state and safe use of the stations, best price ticketing, there is room to make comment during the franchise consultation running until 9 February 2016. A copy of the Rail Executive’s Stakeholder Consultation for the South Western Rail Franchise can be found here. Doable on a journey to and back from Waterloo, particularly the parts between pages 27 and 47. A summary of consultation questions can be downloaded from here. Ways to respond can be found here. Regardless of the current Mayor for London’s latest pre retirement photocalls, Stagecoach South Western Train’s franchise will terminate in June 2017. 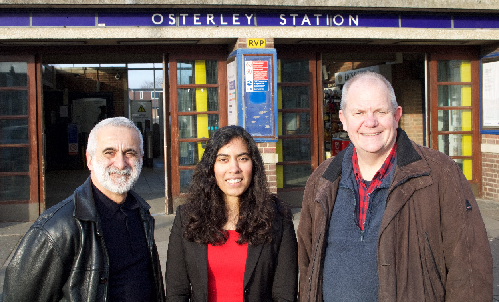 Last summer, following consideration by the Department of Transport whether to extend it to 2019, they published the intention to call for fresh bids to operate a service to people using 200 stations, two are in and serve residents, workers and scholars in Osterley & Spring Grove Ward and beyond. 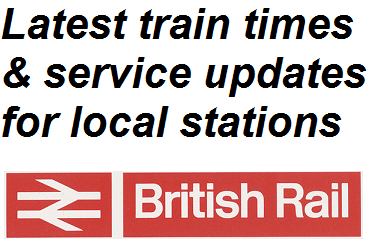 Isleworth Station and Syon Lane Station have a lot of catching up to do. Investment in their improvement and return to passenger has long time lagged behind the increase to nearly 2.4m annually at both. One of the outcomes of the planning permission to BSkyB to consolidate at Grant Way was a legal agreement to rethink the access experience at Syon Lane Station. Hounslow Council’s transport planners are making progress on this and will be reported later. Isleworth Station on the other hand has no specific amounts allocated to mitigate a 31% increase in use since 2010. Plenty more riders are expected when the 700+ properties being developed between Bridge Road and Busch Corner are fully occupied by 2018. What Isleworth Station does have, however, is a growing number of residents investigating, discussing and making proposals to the current franchise holder, Network Rail and Hounslow Council to get long outstanding repairs made. Councillor Steve Curran, Leader of Hounslow Council, recently wrote to Network Rail seeking their cooperation on this, his letter can be found here. A full station buildings survey (a bid has been made for LBH s106 funding, SWT is facilitating). I support the bids for bridge fascia improvements made by the St Johns Residents Association to Councillor Theo Dennison at LBH for section 106 money. I have also submitted separate requests for this and for improvements to make the station and platforms fully accessible, creating safe walking routes to Isleworth Station from London Road via Sidmouth Avenue, Thornbury Park and Metro Industrial Estate, a full stations buildings survey and development of proposals to improve its environs and design and installation of signs in the vicinity of the station and London Road. It would be good to have a fair attendance at Wednesday’s meeting but if unable to do so, please have a try with responding to the franchise consultation. If not a member of the Windsor Line Passengers Association which advocates improvements on the Loop, please consider joining by going to http://www.wlpa.co.uk. Am always happy to correspond on public transport and of course a vote for Labour in 2020 should lead to full public ownership of our railways.